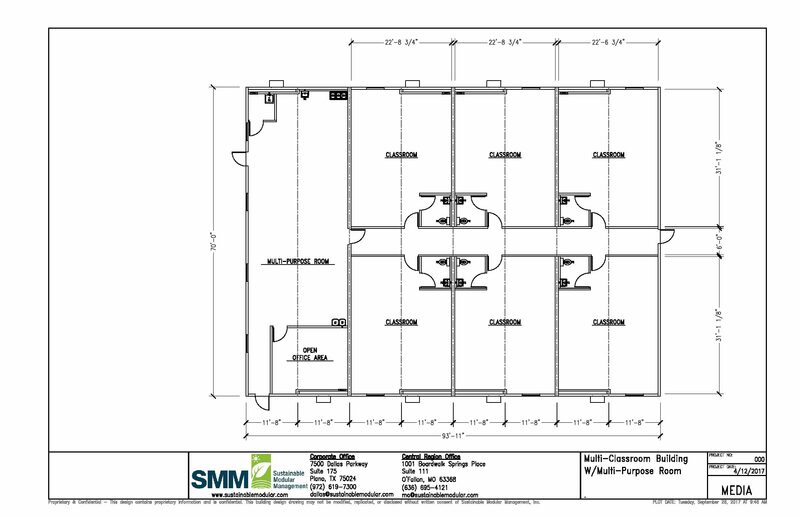 6-Classroom/Multi-Purpose Modular Building | Sustainable Modular Management Inc.
96’ x 70’ Six Classroom/Multi-Purpose Modular Building has 22’ x 30’ classrooms and includes a single user restroom. A spacious hallway leads to each classroom and there is a large multi-purpose room included. The classroom building has an office and a janitor room off the multi-purpose room. All plumbing fixtures are included throughout the modular building.